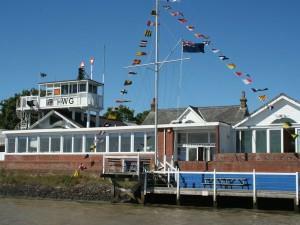 The Maldon District has a rich maritime heritage which is recognised both nationally and across the world. From boat trips, barge cruises, regattas, watersports, gig racing and river festivals, there's so much to do on the water. Experience a trip out on the historic Thames Sailing Barges and discover how cargo was transported over a century ago. Enjoy a cruise down the Blackwater Estuary and experience the panoramic views of Osea Island, Northey Island and beyond. Take a relaxing trip along the Chelmer & Blackwater Navigation, a waterway nearly fourteen miles long. Discover seals and wildlife on the Crouch & Roach Estuaries, and get up close with nature. Take a trip on the iconic Thames Sailing Barges with Topsail Charters from the Hythe Quay in Maldon. Topsail Charters has four historic Thames Sailing Barges, including Hydrogen (1906), Reminder (1929), Thistle (1895) and Kitty (1895). They offer a variety of trips, including afternoon tea sails, brunch and lunch sails, as well as weekend trips away and birdwatching cruises. The barges are also available for private hire for clubs and groups, wedding receptions, birthday and anniversary parties as well as corporate hospitality. You can also visit the Barge Tearooms on board S.B Resourceful for a unique tearoom experience and it's open all year round. Moored on Maldon’s Hythe Quay, you can enjoy breakfast, light lunches and afternoon tea with fresh ingredients supplied from the High Street. The Viking Saga is a traditional pleasure boat which offers trips along the Blackwater Estuary with full commentary from a knowledgeable skipper. You can enjoy a forty minute cruise or a longer two island cruise, which offers extensive views of the estuary and its creeks. A friendly and relaxed atmosphere awaits you on the Viking Saga and there is also a licensed bar. Marigold Charters offers a variety of adventures on the River Blackwater where you can decide how you'd like to spend your time aboard, whether it's sailing, sight-seeing, trawling and net fishing or birdwatching. Enjoy a sail from Maldon where you are invited to get involved with the sailing and handling of the boat as much or as little as you would like. 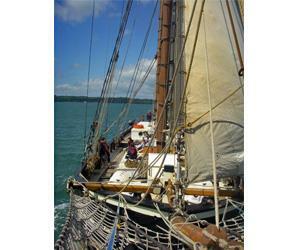 The Thames Barge Sailing Trust also offer trips aboard their two historic Thames Sailing Barges, Centaur and Pudge. Sail with others as part of a group of twelve, or charter the barge for your own party of twelve. The trust is a registered charity that exists to preserve Centaur and Pudge in sailing condition for the benefit of the public and to pass on the skills required to sail them. The barge Pudge was built in 1922 and took part in the Dunkirk evacuation of 1940. The barge Centaur was launched in 1895 and traded all around the British coast and to the near continent as well. Taking a trip aboard either of these barges offers you the opportunity to sail to various locations around the Thames Estuary, and also to take part in various barge matches. From the quay at Burnham-on-Crouch, you can take a short trip over on the Burnham Ferry to Essex Marina, where you can then walk to RSPB's Wallasea Island. The Burnham Ferry runs from Easter to the end of September, six days a week excluding Wednesdays. 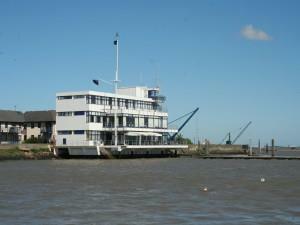 It is the sole authorised ferry between Essex Marina at Wallasea Island and the Burnham-on-Crouch Town Quay. Both foot passengers and cyclists can cross over to Wallasea Island aboard the Burnham Ferry, and is perfect for nature lovers, walkers and birdwatchers. The Wallasea Island Wild Coast project is the largest of its type in Europe and will recreate the ancient wetland landscape of mudflats and saltmarsh. It will provide a haven for nationally and internationally important wildlife. You can enjoy a wide range of watersports in the Maldon District, from sailing, stand up paddle, rafting, kayaking, rowing, canoeing and more. Explore the Blackwater and the Crouch Estuaries, and enjoy the tranquillity of the Chelmer & Blackwater Navigation Canal. You can explore this canal by hiring a rowing boat from Basin Pleasure Boats. 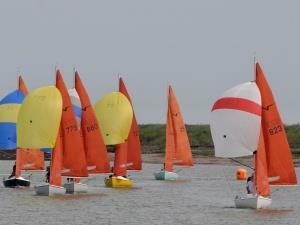 Kids can try out a variety of watersports with Essex Outdoors: Bradwell, and you can also take technical courses, which include RYA Sailing, Paddlesport courses, RYA Powerboating and First Aid courses. Frangipani SUP (stand up paddle) is based in Maldon and offers beginner courses so you can learn how to stand up paddle for the first time. It is one of the fastest growing watersports in the UK and Frangipani SUP teaches in Woodham Walter, Boreham and Benfleet. The Fellowship Afloat in Tollesbury offers groups, schools and individuals activities such as sailing, rafting, powerboating, kayaking and rowing. 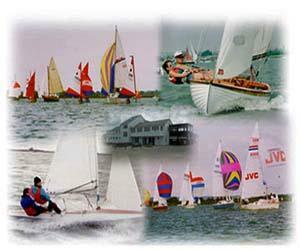 Fellowship Afloat also offers numerous RYA sailing courses. With the River Crouch to the south and the River Blackwater to the north, sailing has been popular in the Maldon District for decades. 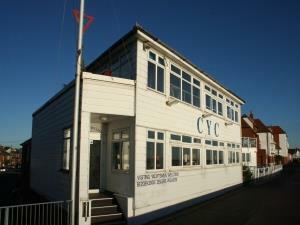 There are numerous sailing and yacht clubs throughout the district which offer a wide range of facilities. From leisure and competitive sailing, to beginners and experts, regardless of experience level you'll be able to find a club to suit you. Many clubs also hold open days and taster sessions throughout the year, so that you get an idea of what they have to offer. 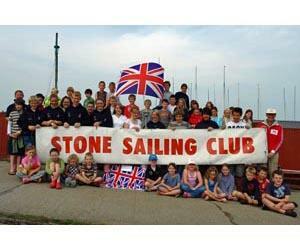 The Club offers a variety of summer sailing programme and winter socials, RYA training courses and moorings. Both novice and experienced boat owners are welcome. Private members club but open to public for taster sessions. Phone number only manned during the day. Please leave a message. The position of the River Bailiff on the River Blackwater is one of the oldest jobs in the country, and the 850th anniversary of the position was celebrated in 2005. The earliest recorded evidence of a 'Water Bailiff' on the River Blackwater dates back to the charter Henry II granted to Maldon in 1155. The role of the River Bailiff today has changed considerably from previous centuries and the position is mainly concerned with the enforcement of Byelaws throughout the River Blackwater. The River Bailiff is also responsible for various licenses and leases issued to sailing clubs, boatyards, caravan parks and other waterside businesses with a need of access to the river. During the warmer months, the River Bailiff spends some time patrolling the River Blackwater and enforcing the Speed Limit and Safe Navigation Byelaws. The speed of vessels along the River Blackwater is restricted to 8 knots (10mph) within 250 metres of the beach. You can view more information about Fast Craft in the Blackwater Estuary. If you are planning a voyage, day trip, overnight trip or longer and need any help or advice, please contact the River Bailiff on 01621 875837 or 07818 013723 or email river.bailiff@maldon.gov.uk. 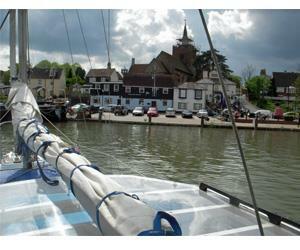 The Maldon District has always been a popular destination for sailors from around the UK and Europe. With the River Crouch to the south and the River Blackwater to the north, you could find yourself spoilt for choice between which of these East Coast gems to visit and the many varied locations they offer. The Crouch Harbour Authority (CHA) is the statutory harbour and navigation authority for the River Crouch and the River Roach. It has all the traditional powers of a harbour and navigational authority which also includes the right to make byelaws and to manage navigational activities within its district. The Crouch Harbour Authority also produce an annual Crouch Harbour Guide with local tide timetables. The Maldon Harbour Improvement Commissioners (MHIC) is the statutory harbour authority for the Port of Maldon, more information and navigation advice is available on their website. MHIC have also produced the Maldon Port Guide. More information, including mooring fees and also personal watercraft registration, is available from the Maldon District Council. You can also view the River Blackwater Mooring Chart.